Hey all! 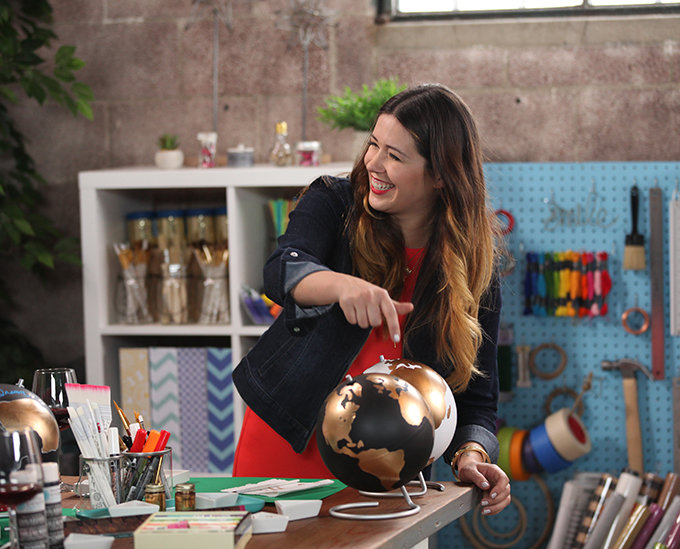 Remember a few months back when I was out in LA shooting a video with my crafty friends from Darby Smart? Well, they posted our episode of Make. Talk. on YouTube today, and it’s super fun! 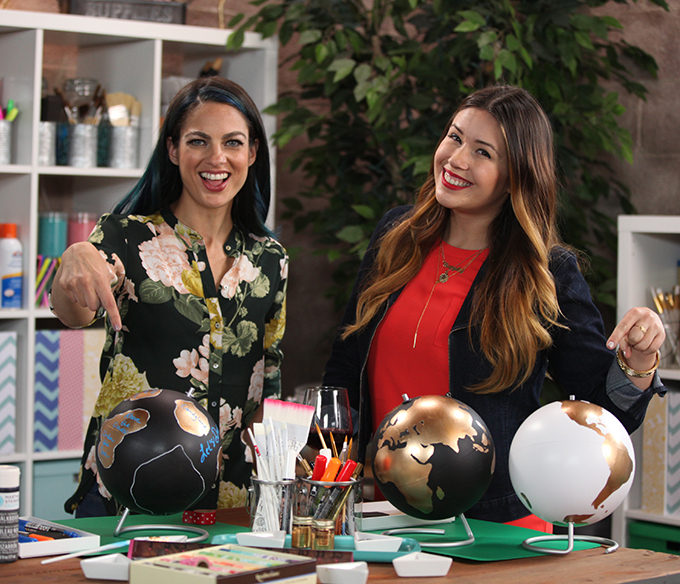 Nicole and I chat it up while we paint DIY globes from my product line #ispydiysupplies, yay! 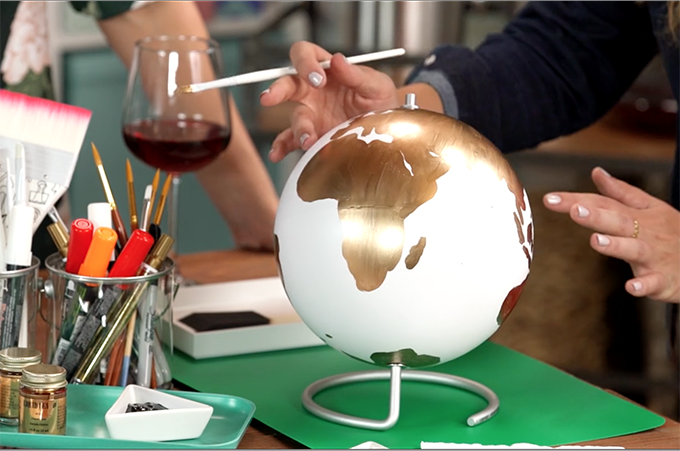 If you are looking to make your own, buy a DIY globe here, chalkboard spray paint here and gold leaf paint here. 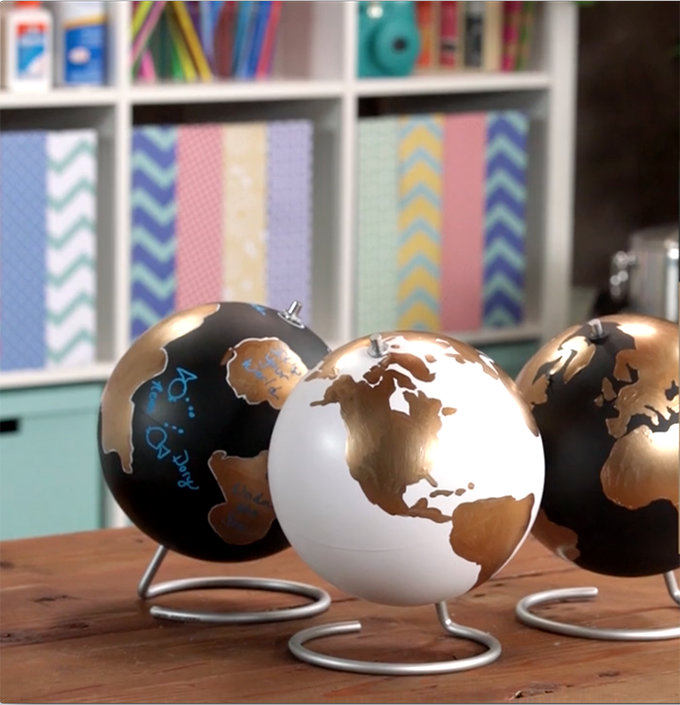 They are so cool, I love the black and gold design! Looking so good and you shared amazing guide to design i really like it and will try it at my home. I love all of your DIY’s so much! I just started a blog myself (littlediyprojects.wordpress.com) and this is very inspirational. Your one of my biggest DIY idols! Please never stop making the world better with your wonderful blog!